I guess January is Guest Post Month here on the Biggest Girl In The Ballroom and I couldn’t be happier about it. One of the biggest blessings of staring the blog has been connecting with others. 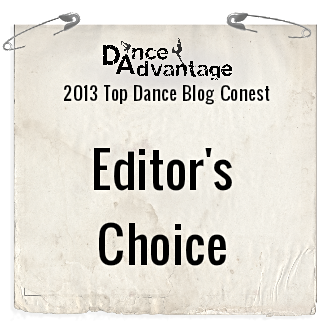 I’m so glad to be able to help get the word out about other ballroom bloggers and dancers. Today you are in for a special treat from Facing Diagonal Wall. It’s a blog I began following a while ago and I was drawn to it immediately. The author shares his trials and tribulations and goes through much of the same struggles as I do. He also has dropped 100 pounds, a goal that I’m still working on. Facing Diagonal Wall is authentic, sometimes raw, sometimes a triumph and I appreciate getting share the journey with a fellow dancer. So without further ado, take it away Diagonal! I started a little blog several months ago to talk about my experiences with ballroom dancing which is somewhere on the border between a hobby and an obsession with me. Through some internet magic, Stefanie discovered my effort and started following my blog and liking a few of my posts. She graciously offered me the opportunity to post on her site as part of the Ballroom Village she is setting up. And, after much careful consideration, I took her up on the offer. 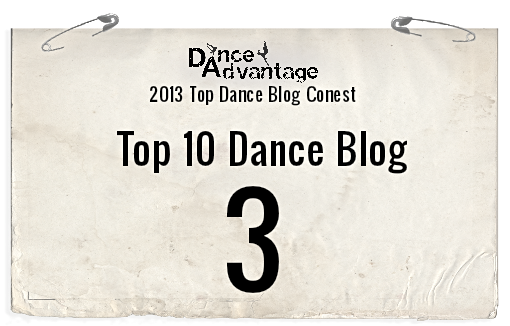 First, you should know that I had no previous dance experience and really hadn’t been a big fan of any type of dance. So how does a guy like that get started? Well, probably like most men, my wife dragged me into the studio (and that is pretty close to a literal statement). There was a studio next to a Starbucks we used to go to on weekends and she always said we should learn to dance and I would always say something noncommittal. Finally, she forced my hand by signing up and telling me I could come or stay home. As luck (or was it really fate??) would have it, because they didn’t know if I was coming, they assigned a male instructor and we got the one who was low key and analytical just like us. I do wonder how things would have turned out with a different instructor but we clicked with this one right away. We danced socially for awhile and enjoyed it but she reached a point where she had gotten all she wanted out of it and was having some physical issues, so she quit. By that time, we were working both with our original instructor and his soon to be wife so I continued working with her and things kind of stalled out until I got talked into doing a showcase which is like a comp but not really a comp. I remember my legs shaking when I was waiting to do my first routine but it was like a switch was turned on inside me because I felt alive out there on the floor. And the first thing I wanted to do when it was over was get back out there. After a little while, I realized that if I was going to fully commit to my new hobby, then I had to get me act together. I was never thin but I allowed myself to get way overweight and it was a struggle to get through the lessons and I really hated the way I looked so two years ago, I lost over 100 pounds and have kept it off. Last year, I joined the gym at work and started working with a personal trainer to improve my upper body strength (well, to be honest to actually develop some since I was a couch potato for so long). It has made a huge difference in my dancing. At the last showcase, we did 14 smooth heats in a row which would have killed me before. Unfortunately, my mental transformation has not gone as smoothly. I am plagued by self-doubt and have a tendency to react negatively to learning each new move. Well, to be honest, my mental image is still my old stuff and whenever I feel awkward doing a step that my instructor appears to be able to do effortlessly, some evil little voice inside me says “who you kidding fat boy, your not a dancer” and things go off the tracks quickly. Working on killing this demon and have made progress over time but the mind still can mess with you. Anyway, that is why you will not see my name attached to this blog or any real personal information. For now, I feel more comfortable behind my curtain. Which is why I did have to think about this for a very long time. The ballroom community isn’t that large and the more exposure I get, the greater the chance that someone will see through my disguise. But, since I’ve found value in reading about other people facing the same challenges, I figure that someone might find something in what I post, so it is worth the risk. So there you go. That’s who I am and why I started this. My continuing quest is to be the best dancer I can be and to finally kill that hateful little demon inside me. Come on over if you want to follow my journey from time to time. It won’t always be pretty but from time to time it might be entertaining. Thanks ever so much to Stefanie for allowing me to ramble across her blog like this. Hopefully, I caused no permanent damage. Um, no! No permanent damage here! Thank you for sharing your story. I bet others WILL find value in what you have written so I’m glad you took the risk. Now, everyone, go on over to Facing Diagonal Wall and follow it so you can enjoy the continuing journey of this member of Ballroom Village! You won’t want to miss a single step!